Water connects us all. 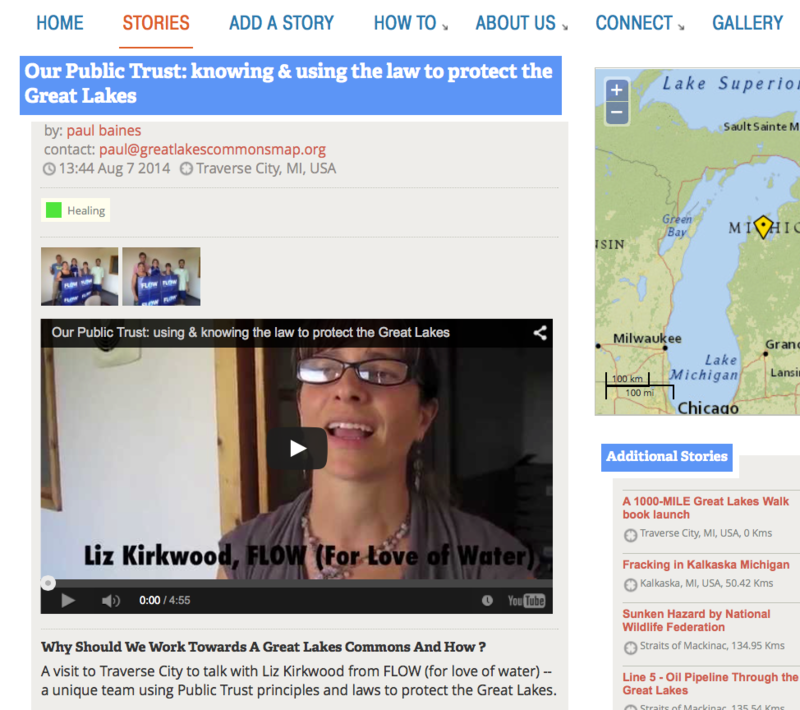 With words, photos, and video the Great Lakes Commons Map lets those who care -- share and grow. Water is not a product or playground, but a commons. Its value is based on how well we share and protect it as a source of life, not as a resource. The Great Lakes are not an inheritance to gamble with, but a gift we are borrowing from future generations. We need a new set of cultural, economic, spiritual, and legal agreements that awaken our collective duty to keep these waters alive. Ojibwe, Odawa and Potawatomi First Nations call these waters "ChiGaming" which translated from Anishinaabe to English roughly means "the Great Sea". Add yours to multiply the bonds and power between all those who are committed to revitalizing these amazing waters. 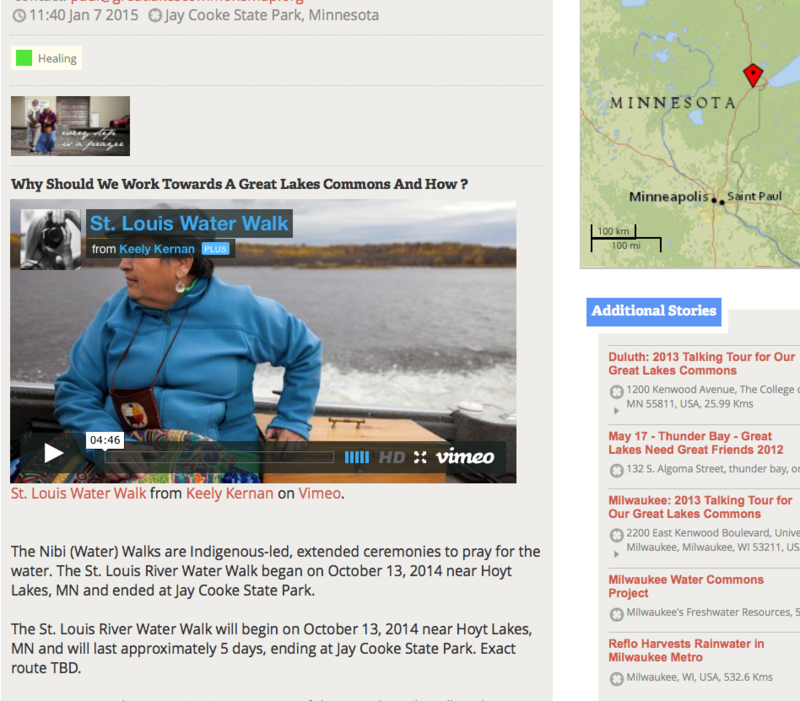 Explore the rest of this site to learn more about a Great Lakes Commons and then please share your own story when ready. The ultimate goal of this map is to use the energy of the crowd (crowdsourcing or collective intelligence) with the power of networked media to arouse our biosphere consciousness: a mind-shift that understands and defends our interdependence with all of the earth's elements.